Congrats 2018 ABA Members who return as 2019 Members - this discounted course fee is for you! This $125 rate is for continued membership individuals, if you are just joining ABA for the first time in 2019 please use $150 rate. ATTENDEES BRING: bring a fleece, or large sample of fleece for assessment and learning. We need various colors of BLANKET fleeces. For anyone raising alpacas, shearing alpacas, buying alpaca fiber, processing alpaca fiber and/or making breeding decisions, this class is for you! Taught by Senior AOA Judge Cheryl Gehly, you will leave class with materials and the training to go back to the ranch and assess fleeces. With shearing right around the corner, this will be sure to come in handy right away. Cheryl Gehly brings humor and a no nonsense approach to teaching. Class is both in depth as well as fun! This is a quick deep dive for those new to alpaca fiber, as well as seasoned alpaca owners. There is always something new to learn. 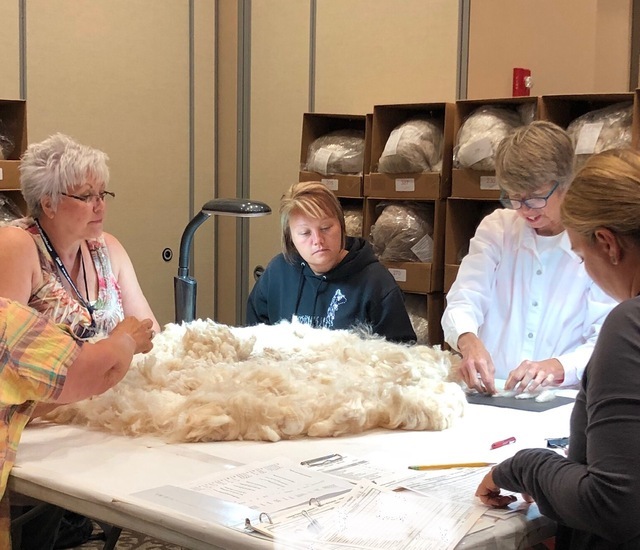 After this class, you will feel ready to sort and grade your fiber after shearing. Understand fiber industry advances, and how to breed for the absolute best fiber possible. 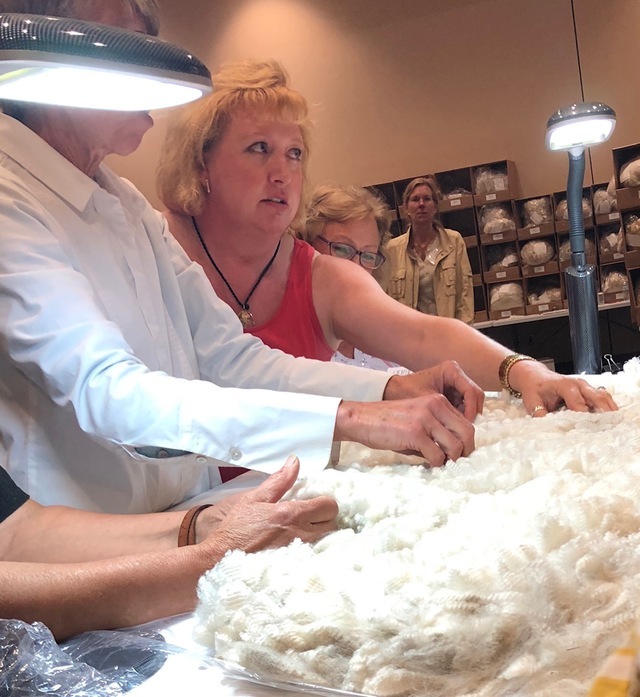 Additionally, utilizing your fiber in the most appropriate products - whether its exquisite yarn, fine felt or alpaca rugs, the profit margin can be the same... but it all starts with the knowledge THIS CLASS will offer! Don't pass this opportunity up to create your best fiber business possible through a deeper understanding of the fiber we breed for, grow, and shear.